Clearly I have been smiled upon by a greater power as of late, for I have been fortunate to take on so many new readers over the past month. If you’re one of those new to the site: welcome! So here I am on Sunday, having my whole day off ruined yet again as I wrack my brain trying to think of something to write about, and honestly getting quite frustrated. 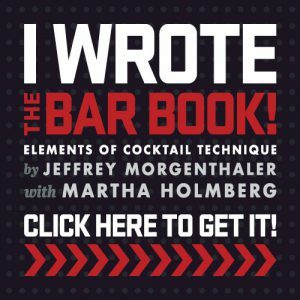 So, a solution: I’m going to make something using only the ingredients in my liquor cabinet and try a previously untested recipe from one of my many books on the subject of cocktails. When I think about rum, I think about Trader Vic. And when I think about Trader Vic, I think about dusting off my 1947 edition of Trader Vic’s Bar-Tender’s Guide and looking for a recipe I’ve never tried. So that’s exactly what I did. 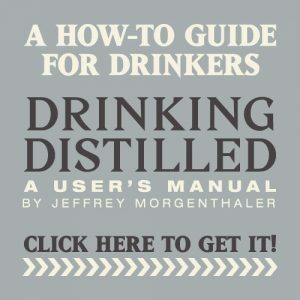 On page 209, he gives us the recipe for a Beachcomber Cocktail, calling for light rum, lime, Cointreau, maraschino liqueur and a Waring blender – all of which can be found at my house on a standard Sunday in May. Mix in Waring mixer with shaved ice; pour unstrained into chilled champagne glass. As an aside, maraschino liqueur comes in several forms. Luxardo is intense, heavy, with an underlying bitterness and a healthy dose of funk; I personally recommend using less than a recipe might typically call for – unless you have reason to believe the recipe in question was developed using Luxardo. Then there’s Maraska, which is sweeter, less herbaceous and much easier to work with as a sweetening component to a cocktail. Try both in an Aviation sometime and you’ll see what I mean. The verdict? It’s gross. First of all, we’ve got two ounces of light rum, which is a big speed bump of alcohol to try to climb over. Next, the drink is blended, which to me always calls for some big, bold flavors since things tend to get lost among all of that blended ice and water. 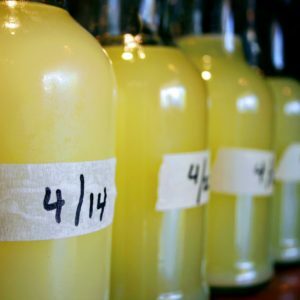 A scant tablespoon each of lime and orange liqueur, spiked with maraschino liqueur doesn’t strike me as bold, so I’m going to recommend bumping up the proportions and selecting some brands. Right off the bat I’m going to suggest using something other than the Myers’s Platinum I used at home. 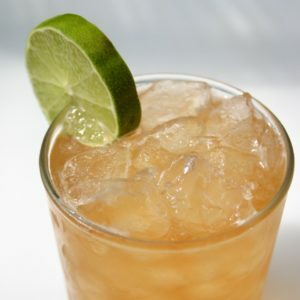 Try a Puerto Rican like Bacardi, 10 Cane from Trinidad or St. Croix’s Cruzan Estate Light, which is aged for two years. Each of these rums is going to provide a slightly sweeter base with less of the acids that I find to be the hallmark of Jamaican rum. Next, let’s use ¾ ounce each of lime and Cointreau – enough already with this “juice of ½ a lime” business. As for the maraschino, let’s try a half teaspoon if using a sweeter liqueur like Maraska, and a quarter teaspoon each of simple syrup and maraschino if using a heavier version such as Luxardo. The recipe below seemed to work better with my palate, but I tend to like drinks that taste delicious. To read about a whole bunch of other tasty beverages, head over to my friend Trader Tiki’s website for the complete wrap-up of this month’s Mixology Monday, along with more rum and Tiki information than you can shake a swizzle-stick at. Blend well with ice and pour into a chilled champagne coupe. I also have an aversion to Rum. I swear that 99% of the time when I tell someone I won’t make them a Long Island they always default to a Rum & Coke. Leaves a bad taste in the mouth. Do you use jiggers at all anymore? It seems dicey when juicing as to how much juice you’re actually getting. I’ll still sometimes bust out the jiggers to make sure my portions are gonna be right. I jigger almost every single drink I make. In fact, I make all the other bartenders I work with do the same. It’s the only way to achieve perfect proportions every single time. I know, I probably should too. With enough jiggers I suppose it really doesn’t slow anyone down too much. Do you jigger every ingredient? My alcohol count is pretty straight on. It’s the portions of things like syrup and juices I wonder about sometimes. Just happened to go to a monday mixology session here in Oz today and it was on rum! Rum & Rye are staging a fightback this year in Australia and I have to say I’m happy about that. Yes, every ingredient, every time. Trust me. I definitely agree with you regarding Luxardo. I’ve made a variety of cocktails calling for it lately, and every single one of them was vastly improved by cutting the amount called for in the recipe , by half. I did have a fantastic Papa Doble in Melbourne earlier this year, which really seemed to benefit from the addition of a larger amount of Luxardo. Easy, there, John Claude – my advertisers pay good money to appear here. As far as I’m concerned, it’s Suntory time. Honestly, as an aside, I did pick up a bottle of The Yamazaki 18-Year Single Malt last week, and have been itching to post a review, so we might have to do that soon. ahem. uh, dude, the midori ad that puts a couple of bucks in your pocket puts a huge dent in your credibility. ixnay on the midori, kapice? What the heck is wrong with Midori? It’s a sweet liqueur with an interesting flavor, thus putting it on par with many many others. In the right drink and in the right proportions, there’s nothing wrong with it and it’s actually quite good. Sheesh. I was just poking fun at the Midori, not at the fact that you’re rockin’ an ad. Thanks, Mike, and I’d like to think that my credibility is still intact. And John, I actually drink Jägermeister on occasion, so there. The real question is – when are you going to start having Fernet ads?